You can never be too careful when it comes to you or your family’s health, especially as the cost of medical care continues to rise. Proper health insurance coverage is a must. Typical health insurance plans can vary, making it valuable to have an expert in your corner. Plans can cover anything from medical and hospital expenses to prescription drugs and check-ups. A solid health insurance plan will protect your family from the financial hardships that may arise if you or a family member becomes sick or injured. For businesses, offering the right health insurance packages can be advantageous. A well-designed and affordable health insurance plan can be attractive to talented job seekers. It also helps to keep your current employees healthy, happy, and productive. As the cost of healthcare continues to rise, you can’t afford to take any risks with you or your family’s health. A properly formulated health insurance plan will keep everyone healthy, happy, and covered financially should anything significant ever happen. It’s important to discuss your needs with a health insurance expert at Van Leer & Edwards. That way we can formulate the very best plan that fits your needs and your budget. Get the affordable protection that your family deserves and don’t risk your financial well-being on expensive medical bills. Providing a solid health insurance plan for your employees provides a great deal of benefit to both them and you. Offering an affordable and comprehensive health insurance plan will lower turnover and increases overall job satisfaction. A good health plan should keep your employees healthy and provide everyone with the peace of mind by knowing they have proper health insurance coverage. Van Leer & Edwards offers a variety of group health insurance plans for small to medium-sized businesses. 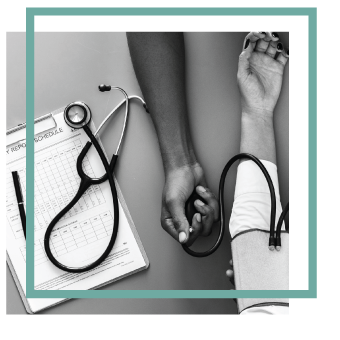 Our team of health insurance specialist will work with you to develop a group insurance plan that’s beneficial to your employees and affordable to you as the business owner. We offer indemnity plans, such as Fee-For-Service (FFS), managed care plans (HMO), Preferred Provider Organization (PPO), and Point-of-Service plans (PPO). The difference between these types of plans is the type of providers available, the choices of doctors/physicians, out-of-pocket costs, and medical bill payments. Health insurance options will vary from state to state so it’s best to get in touch with our team of group health insurance specialists to find a solution that’s ideal for your business and your employees. The insurance specialists at Van Leer & Edwards can help you to find the right dental plan for you, your family, or your business. Many people depend upon glasses and/or contact lenses to make it through their day. This makes adding supplemental vision insurance a great option for individual, family, or business health insurance plans. Vision insurance is important for people looking for quality eye care at a reasonable price. Contact a vision insurance specialist at Van Leer & Edwards today to find out which options are best to supplement your current health insurance coverage. Long-term care insurance can be an economic lifesaver for some families. To see if this type of insurance is right for you, call a health insurance professional at Van Leer & Edwards today! Van Leer & Edwards is committed to offering a large suite of health insurance options to our clients. Supplemental insurance will cover any gaps in your health insurance plan that create out-of-pocket medical expenses for the insured party. These costs include deductibles and co-pays. Medicare supplemental insurance provides members of your insurance plan who are under Medicare with assistance for items that are not covered under Part A or Part B.
Maternity supplemental insurance will help cover any medical expenses that you may incur up to the delivery of your child. These are just a few of the supplemental insurance options that we offer at Van Leer & Edwards. Check with our health insurance specialists today to see what you may consider adding to your current health insurance plan. In the rare case that you become sick or injured and can no longer work, disability income insurance will help you to pay your bills. A disability insurance policy will usually pay between 50-70% of your income so that you can keep your family from having any financial issues. Disability insurance policies vary depending upon the individual. Other circumstances can affect the duration and the amount for which you will be reimbursed. Call today to find out more about disability insurance from one of the experts at Van Leer & Edwards. Keep you and your family protected against unexpected medical bills with medical expense insurance. Generally, there are two types of policies: basic medical expense and major medical expense. Basic medical expense insurance policies cover standard hospital, surgical, and physician expenses. It also covers certain types of hospital visits/stays, specific surgical procedures, and common physician fees. Major medical expense insurance policies cover expenses after the limits of your basic health insurance plan have been exhausted. These policies are especially helpful for clients who experience an unforeseen catastrophic medical incident. Today’s increasing costs for prescription drugs are making it more difficult to pay for them out-of-pocket. This is especially the case should you need multiple medications. With prescription insurance, you can reduce the cost of your medication, decrease your co-pay expenses, cover any specialized medications, and make your out-of-pocket expenses more manageable. Health savings accounts, or HSAs, are a new alternative to traditional health insurance that can help those who have high-deductible health insurance plans. With an HSA, you can set aside money into a “savings account” that you can use to pay for medical expenses that aren’t covered under your high-deductible plan. You’ll have complete control over how much money you wish to set aside for your HSA. All deposits, growth, and withdrawals are tax-free and the money rolls over each year. There are limits to the amount of money in which you can deposit. That being said, a health savings account is a great way to have a lower premium and help you save for any future medical expenses. Call to speak with one of our health insurance specialists today to see if an HSA is best for you.